It's November. The leaves are falling, night comes sooner, and the weather is getting cooler. We'd like to thank everyone for their efforts over midterms. The library was bursting at the seams with some students studying quietly for midterms while others worked together on group projects. It can be challenging to find a happy medium between those groups with different needs and we thank everyone for their patience as we work to find that medium. This issue of the newsletter reveals the new skeleton name. We share information about where you can find old photographs of NWHSU's buildings, students and faculty. We let you know what the Thanksgiving hours are scheduled to be, how you can find full text articles with just a citation, and how we can help you with your final papers. Have a wonderful fall and happy Thanksgiving. 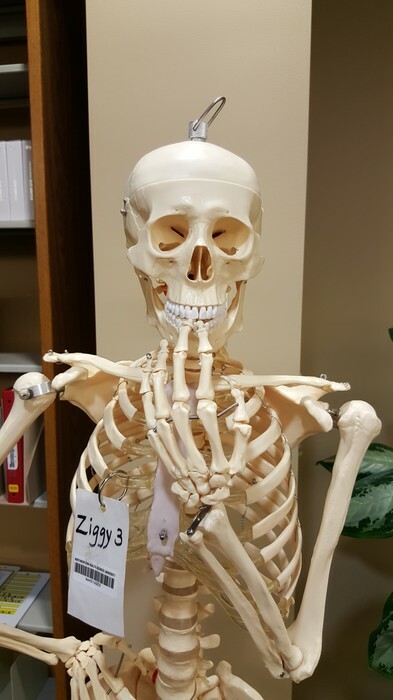 Ziggy (The Third) met with an unfortunate accident. He took a vicious header while being returned and broke his ribs, teeth, head and lost his other leg. We purchased a replacement and instead of going with Ziggy IV, we decided to open it up to the creative minds of our student body. We like Quantum Leap* as much as the next fan but it was probably time. *There is no evidence to suggest this is the origin of the original Ziggy's name, but we like the story. We had wonderfully clever submissions such as The Greater Troy Chanter, Bonejamin Wolfe and Sherlock Bones, some eye-brow raising submissions such as My Ex (there's a story there), some holiday-themed submissions such as E-Boneezer Scrooge and some with interesting Urban Dictionary uses. 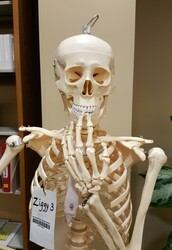 Please be careful with the skeleton models you check out from the library. They're wobbly and a bit delicate. Saturday, Nov. 28th 10 a.m. to 6 p.m.
Sunday, Nov. 29th 9 a.m. to 10 p.m. Please check the Library Facebook page and/or website for potential changes to those hours. 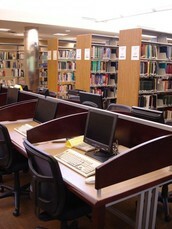 Library hours are influenced by the building's hours. 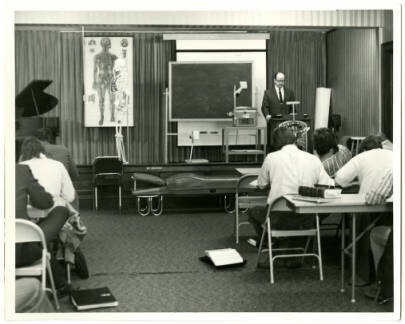 Northwestern Health Sciences University has partnered with the Minnesota Digital Library to showcase NWCC/NWHSU's history as Minnesota's sole surviving chiropractic institution with selected photographs. Browse through the 45 photographs dating back to the 1940s. You may even recognize a few faces. 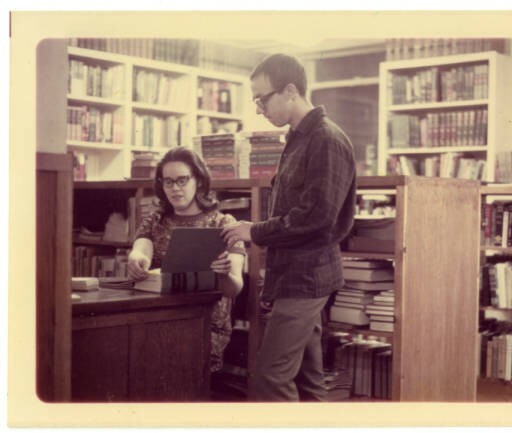 Digitizing old photographs is an ongoing project. Be sure to check our Facebook page every Thursday for new #tbt submissions you won't find on the Minnesota Reflections page. Do you recognize any of the students? 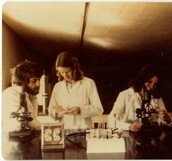 We'll post who the instructor is in the middle photograph on our Facebook page. Come and see if you were right. Do you have a citation and need to find full text? Check out our e-journals page. The e-journals page lets you search by exact journal title or by PubMed abbreviation. 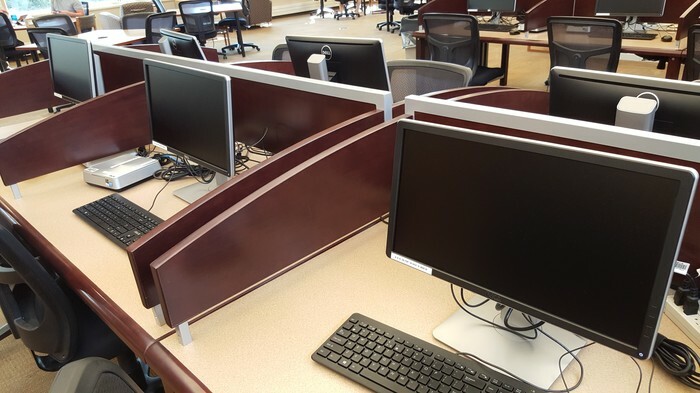 Once you find the best access point (usually the first), you can see everything that is available electronically from on and off campus if you log in. The issues are sorted by year/volume and then issue number. If it's older than 2000 or a rare title that comes only in print, you should check for availability using our catalog. You'll have to visit the library to access those issues. Directions are on the webpage. Do you have a paper due soon and need help finding sources? The library can help. Databases for your research needs. You can make an appointment with me, Krista, the reference and instruction librarian. I will sit with you and help you get started in your search. For best results, make an appointment in advance by emailing me at kjacobson@nwhealth.edu with as much information as possible. For instance, knowing the topic in advance before the meeting gives me the opportunity to get familiar with what we can offer. We also offer interlibrary loans if you need something we don't have. And of course, you can also find the writing lab in the library.